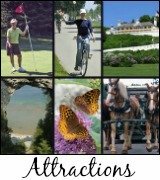 The Horse Festival on Mackinac Island, Michigan is a fun-filled and educational multi-day celebration. 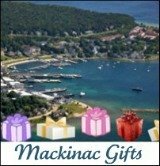 It is presented each year by the Mackinac Horsemen's Association and enjoyed by everyone who attends! Known as the Festival of the Horse, it will be held August 8 - 9, 2014. Whether you are an avid rider or someone who appreciates the beauty and strength of these great animals from a distance, this festival will entertain and inform you. The festival will begin with free activities for children such as pony rides and learning to jump mini barrels. 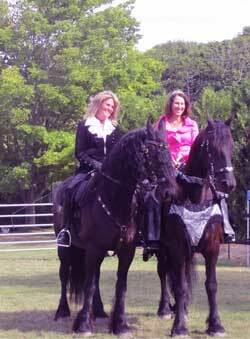 There will be an Equestrian Clinic featuring Betsy Van Dyke and of course, the exciting and fun to watch saddle horse parade. Betsy Van Dyke and her Danish Warmblood, Tanner, will be featured during the horse festival. Most of the activities for the festival will take place at the Michigan Horse Council Arena at the Borough Lot which is located just below the Grand Hotel. Bring your camera as the view from the bleachers is fantastic. The lake view is a beautiful backdrop for the horse demonstrations! There will be a Driving History and Exhibition on August 9 which will feature various beautiful carriages and horses. 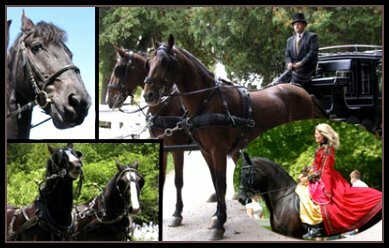 Another extremely interest event is the Mackinac Island Breed Presentation featuring eighteen different breeds of horse. These breeds all call Mackinac home! Do not miss the presentation by Maryanke Alexander on "Regina" and Michelle Stuck on "Gysbert". Prepare to be wowed with their musical Kur. These accomplished horsewomen are a "hit" every year. A musical kur is freestyle form of dressage movement. It sets the horse's movement (dance) to music. Their musical kurs have included Puttin' On The Ritz and Exodus. There are a couple of events where you can mingle with the guest clinicians in a personal setting. The Horses, Hoofbeats & Hors d'oeuvres Party is one of those events. You can also enjoy the Annual Mackinac Horsemen's Association Party which celebrates the Festival. It is a social event where horse lovers get together to celebrate that "Horse is King" on Mackinac Island. There will be entertainment as well as a live and silent auction. All are welcome. Pay $25.00 at the door for a membership or if you already have a membership, the event is free! It's a great deal for a fun-filled evening. There is something for everyone at this festival. Whether you like parades, historic stable tours, riding and driving demonstrations, or a presentation of horse breeds, this annual event is for you!